Published on September 10, 2013 in Uncategorized. Closed Tags: border deaths, detention, detention conditions, fortress europe, greece, migration policy, police raids, police violence, racist attacks, repression. The Monaghan Report on the scandalous death of Jimmy Mubenga during his expulsion from Britain highlighted the broader issue of the inhuman treatment of immigrants in Europe. We become more and more accustomed to their demonisation and dehumanisation; even worse, the recent “Go Home” vans campaign in Britain warns that immigrant-bashing might soon become something like official policy. A system in crisis needs scapegoats, and the immigrants come in handy here, being much sexier scapegoats than bankers. Could this be a prelude to a wider authoritarian turn? Just watch what is happening in Greece. The plight of the newcomers has often been described in words and in film. It does not lack official sanction. Before the elections, Prime Minister Antonis Samaras, whose extreme Right past and affiliations are no secret, decried that “our cities have been occupied by illegal immigrants; we will take them back”. This would actually be an act of charity towards Greek children: “Kindergartens are now full of immigrant children, and Greeks cannot enter. This will stop!” he added. Nikos Dendias, Minister for Public Order, put things into perspective: “Immigration is a problem perhaps greater than the [economic crisis]”. Such declarations are not taken by the police as implying that immigrant rights are sacrosanct. As for the judicial and the administrative system, they protect these rights no better. In all, asylum seekers are systematically detained and face inhuman or degrading treatment. This is not leftist rhetoric, but an official statement of the highest EU Court of Justice, which in 2011 put a ban on the deportation of asylum seekers to Greece for exactly that reason. Published on June 11, 2013 in Uncategorized. 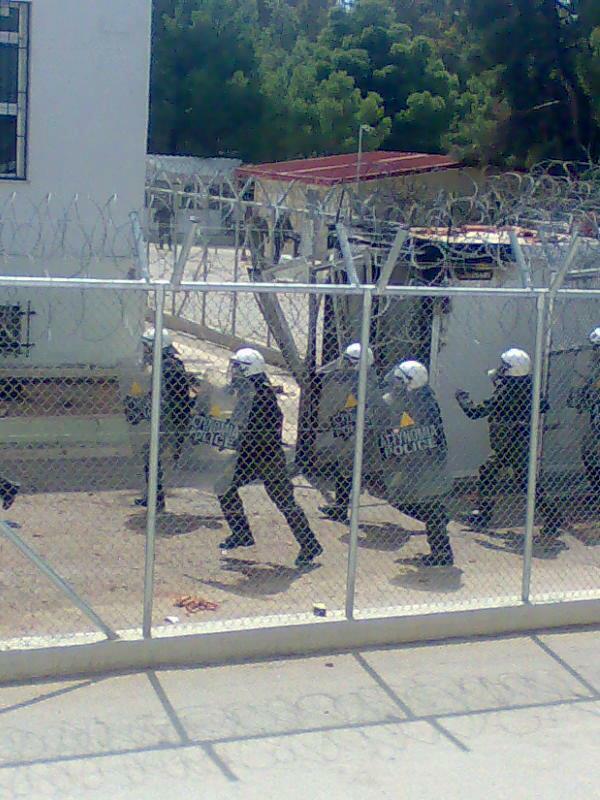 Closed Tags: detention, detention conditions, greece, lesvos, new arrivals, new detention regime, police raids, samos. Yesterday, the police release more than 70 of the migrants and refugees who had recently arrived on the island and who were detained under inhuman conditions inside the port area for a few days. 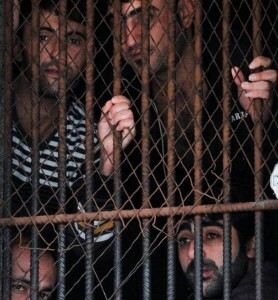 Some of them had been already transferred to different police stations on the island for further detention. The release was a consequence of further arrests on the island and overcrowded cells. Families from Afghanistan, Syria and men and women from Somalia took the ship to Athens. Meanwhile another 44 refugees arrived yesterday on Samos island. The detention centre on Samos has a capacity of 300. Published on April 30, 2013 in Uncategorized. 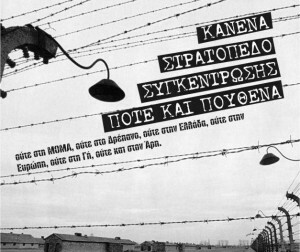 Closed Tags: athens, detention, detention conditions, greece, hunger strike, new detention regime, police raids, struggles and resistance, xenios dias. “We could die without anyone even learning about it. It is our fifth day on hunger strike in the detention facilities of the Police Station of Moshato. 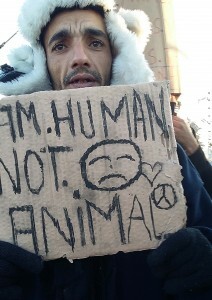 We live like dogs”, says Armen Mourantian: “We sleep in shifts in a room full of dirt. Six people sharing three mattresses. Three full rooms. In the fourth one, which is the largest, they have cornered more than 15 people”. Published on April 9, 2013 in Uncategorized. Closed Tags: amigdaleza, detention, detention conditions, greece, hunger strike, new detention regime, police raids, revolt, sans-papiers, struggles and resistance. No concentration camp, never and nowhere! … not even on Mars! What started with a protest by detainees at the migrant detention camp at Amygdaleza in northern Attica, has reportedly spread nationwide. As many as 2,000 migrants being held at detention centers around the country have reportedly gone on a hunger strike since Saturday April 6, to protest the deplorable conditions, police violence and prolongued detention periods. 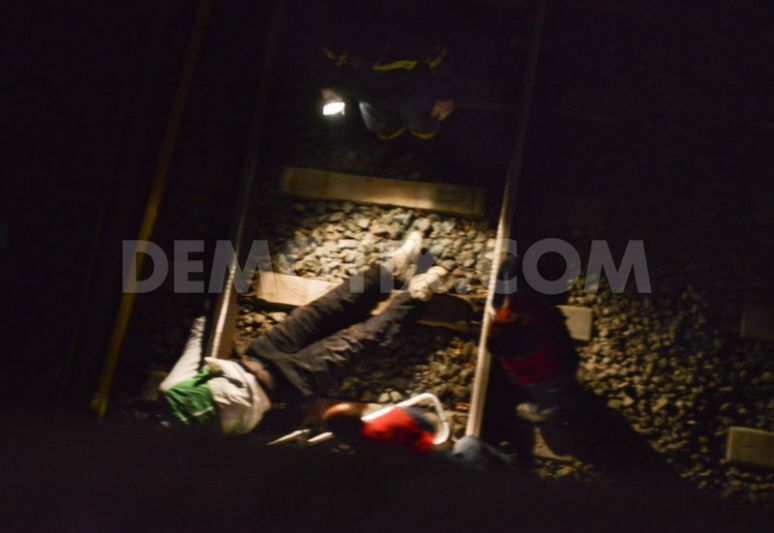 On Saturday three detainees in Amigdaleza even had tried to commit suicide: one with a broken glass, another by drinking shampoo and yet another by cutting himself with a sharp object. The hunger strike was encountered by the guards with mere violence: beatings, tear-gas and other forms of cruel treatment as standing outside on one spot for 5 hours or denying visits of relatives and friends. On Monday some hunger strikers had fainted. The guards refused to call for medical help. “If you want to keep on with your hunger strike, then die,” some officers said. Police violence has been a constant issue in Amigdaleza and in other detention centers before. Specifically the violent responses of revolts and other forms of protest seem to be a rule. On April 20, police officers charged of ill-treatment of detained migrants in Amigdaleza will be brought to the court. 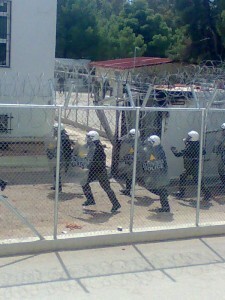 Riot police in the detention centre of Corinth. On the roof a migrant detainee threatening to jump. On Tuesday April 9 at 21 o’clock two migrant detainees climbed up a chimney at Corinth detention center threatening to jump if they were not let free. After long negotiations they were talked into backing off. The next day ongoing tensions have resulted in 47 arrests. Human rights groups claim the riots were sparked after police beat up a detainee who had refused food to protest the extension of his detention. Specifically, when authorities informed the detainees that their detention periood was extended for another 3 months more 65 migrants declared to start a hunger strike. One of them upon denial of food got beaten by officers. He reacted by threatening to throw himself from the roof of the building. Since the early morning riot police has started throwing tear gas inside the cells. Two cells were on fire. Around 13 o ‘ clock police forcibly entered the cells to repress the protest. A police statement says officers fired tear gas at detainees alleged to have thrown roof-tiles at them and set fire to buildings in the complex outside the town of Corinth. Ultimately, a group of 47 Afghan migrants were arrested and taken to a nearby police station. They await criminal prosecution for offenses of – amongst others – resistance, disobedience, revolt of prisoners, criminal association, arson, attempt of causing dangerous and unprovoked bodily harm, aggravated damages, abuse and violation of the arms legislation. These are common charges for detainees who protest. 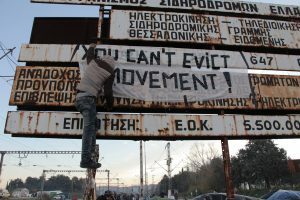 In other protests in Corinth, Komotini, Fylakio and elsewhere, migrants have been charged the same offenses to frighten them off protesting. The general demand of all these protests is: freedom! 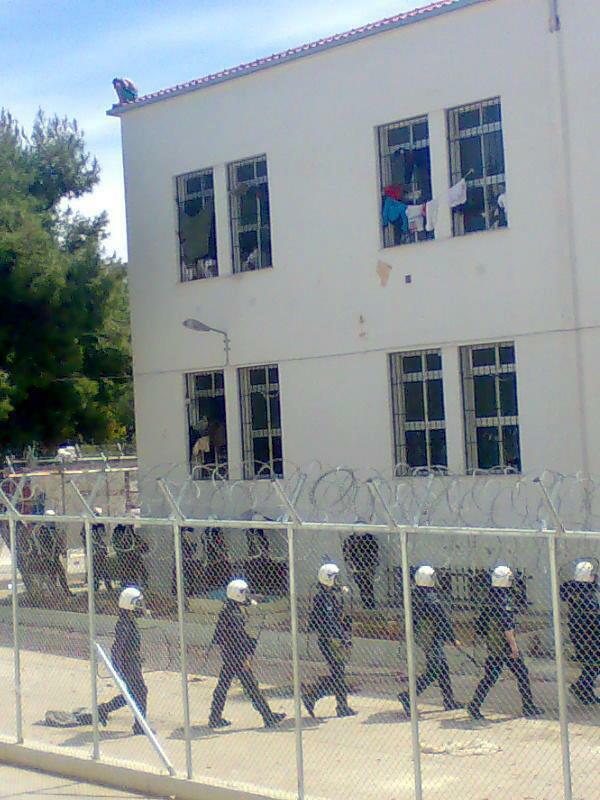 Repeatedly migrants in new and old detention centers but also in police stations that are being used also to close up sans papiers have protested with hunger strikes, through self-injuries and revolts. Hundreds were beaten when riot police was send to end the protests by force. Tear gas was thrown into closed cells almost as a rule. Dozens of detainees have been criminalised in the following when they stood up for their rights and brought to the court with different charges following the different revolts. 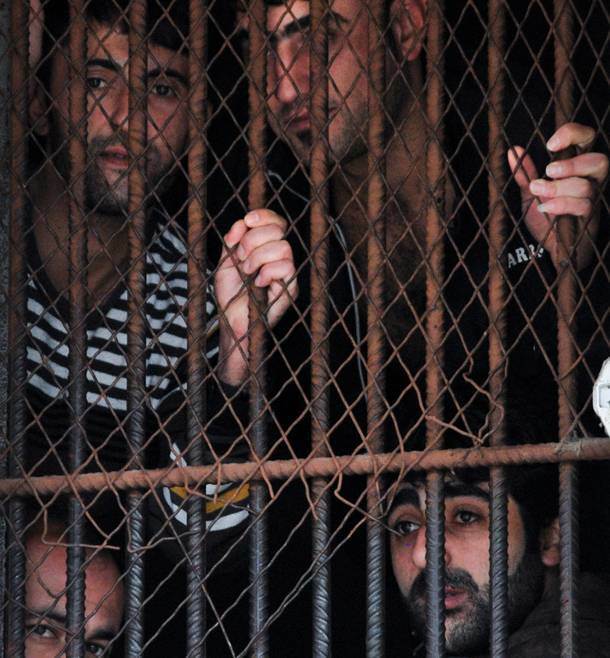 While hundreds of detained migrants in Greece are on hunger strike protesting prolongued detention and inhuman detention conditions the Greek government announces the creation of further detention centres. Six are existing at the moment in Xanthi (currently 440), Komotini (427), Drama (320), Aimgdaleza (1.665), Fylakio (2.034) and Corinth (1.022) with a total capacity of 5.000. With the new detention centres planned in Ipeiros and at least four islands in the Aegean, capacities are planned to rise to 10.000! In the centre of Athens police raids continue and many sans papiers as well as migrants with residence permits find themselves in one of the many busses carrying them to the Aliens police for further control and later – some of them – to the above described detention centres. * During half a year since the beginning of Xenios Dias, approx. 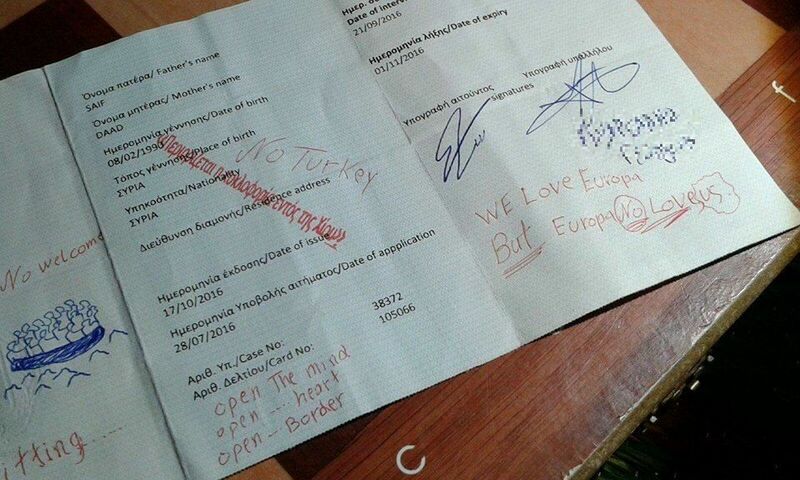 80.000 migrants have been temporarily arrested, 5.000 finally detained for “lacking legal residence permits”. At the land-border to Turkey in Evros, where most sans-papiers would enter the country until the beginning of 2012, Xenios Dias included the massive influx of additional police forces to prevent border crossings. Since August border crossings at the land border consequently decreased by 95%, police reports. migration routes since then shifted back to the sea border in the Aegean. Published on February 2, 2013 in Uncategorized. Closed Tags: athens, death, greece, police raids, police violence, repression, senegalese, street vendors, workers rights. Published on January 26, 2013 in Uncategorized. Closed Tags: athens, greece, police raids, xenios dias. 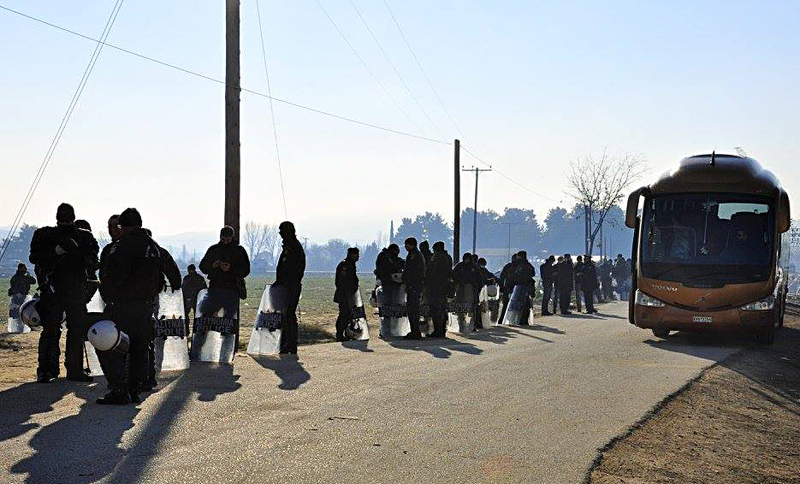 On Saturday 26th of January 2013, 152 migrants were temporarily arrested in Attica – most of them street vendors whose whares were confiscated. and 2.373 women were temporarily arrested for prostitution (migrant and non) of whom it remains unclear how many had to stay in detention and how many were falsely arrested.